Hip hip hooray! “Grindhouse” is a friggin disaster. 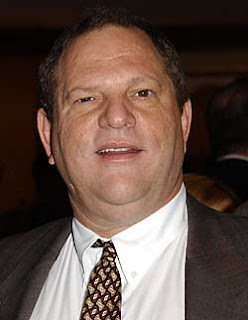 Money quote: “The Weinstein Co. has been plagued by bomb after bomb since its 2005 inception after Miramax founders Harvey and Bob couldn’t come to terms with Disney.” I don’t mean to say that everyone at Disney is taking immense pleasure in watching that obnoxious blowhard egomaniac Harvey finally shown up as the putz he truly is. I’m sure not everyone at Disney is enjoying this. Just most of us.